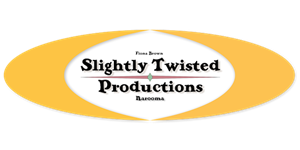 Twist Lounge @ Narooma Golf Club Sunday January 14th, 7pm. We got lots of calls about being able to dance up a storm when the Backsliders return to Narooma....the best dance floor in town with killer sound...so here it is.....The Twist Lounge is back!!!! 'Backsliders Live at Twist Lounge' in the Narooma Golf Club will be the show of the year. The mighty Rob Hirst has just finished eights months on the road with Midnight Oil, Dom Turner has been busy touring with the Turner Brown Band and Joe Glover has been getting his harp amp sharpened up ready for this amazing night out!!!! It’s going to be big. Big dance floor also plenty of seating and tables but you won't be able to sit down for this incredible night!!!! Get in early for a great meal downstairs and enjoy the most spectacular view in Narooma.